Good Impression, with full plate border and margins on a sheet of laid paper. Small rust stain hole bottom left on the chair. two faded stains near/on the plate border. 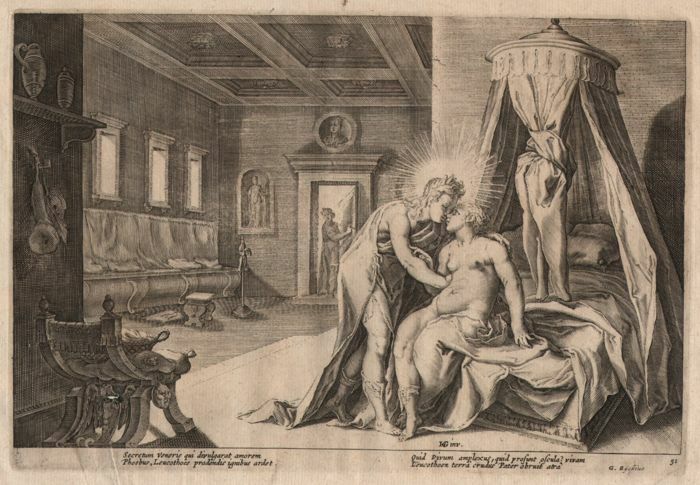 Date: Circa 1590 according to British Museum, a date on one of the prints suggest the series from the Metamorphoses III were first published in 1616.
in lower left: "HG inv.". 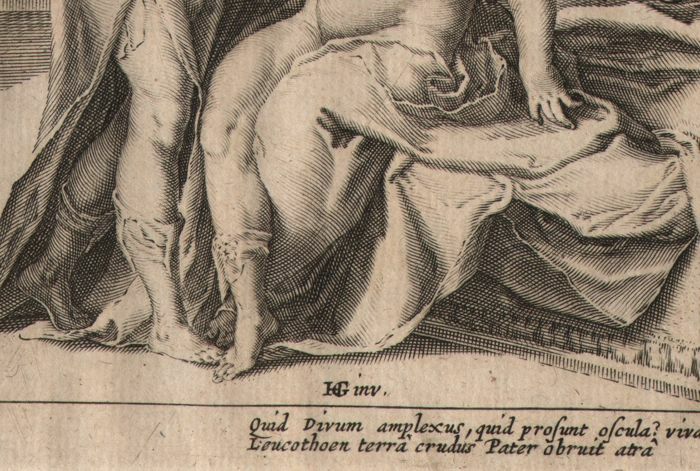 in lower margin "Secretum Veneris ... / ... Pater obruit atra. / G. Rÿckius". 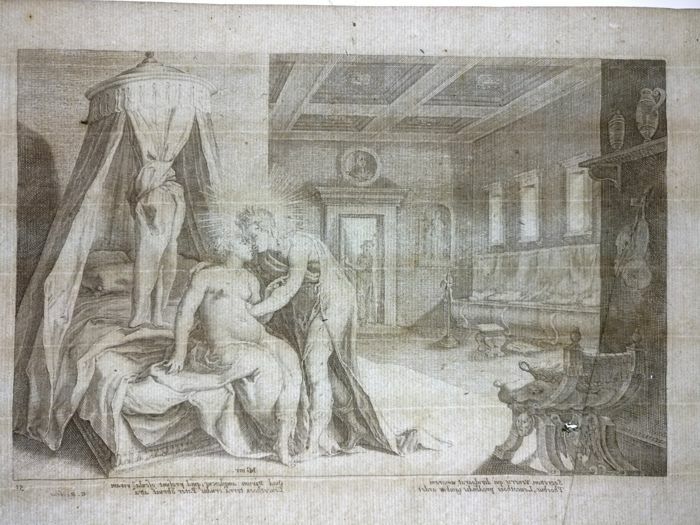 "51"
An early work drawn by Goltzius en engraved in his workshop. 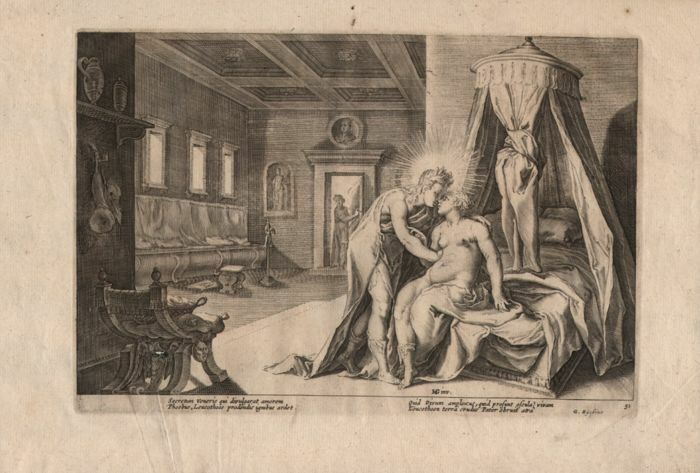 Print from the first series of scenes from the Metamorphoses whose design occupied Goltzius about 1589. 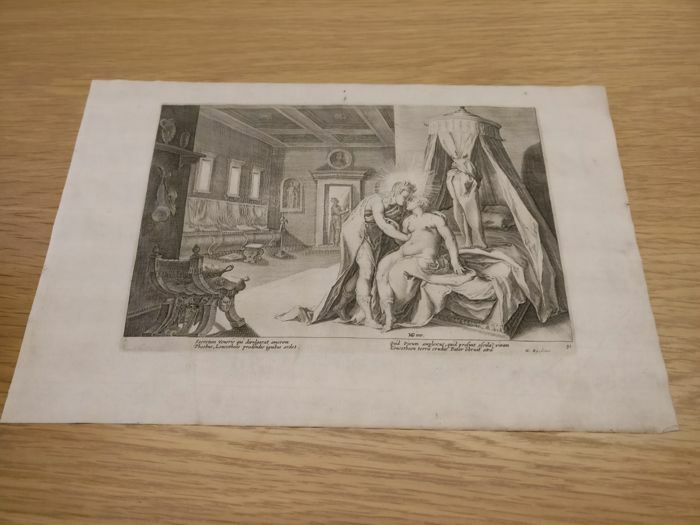 The design sketches for this prints are recorded in some of the greatest museums. 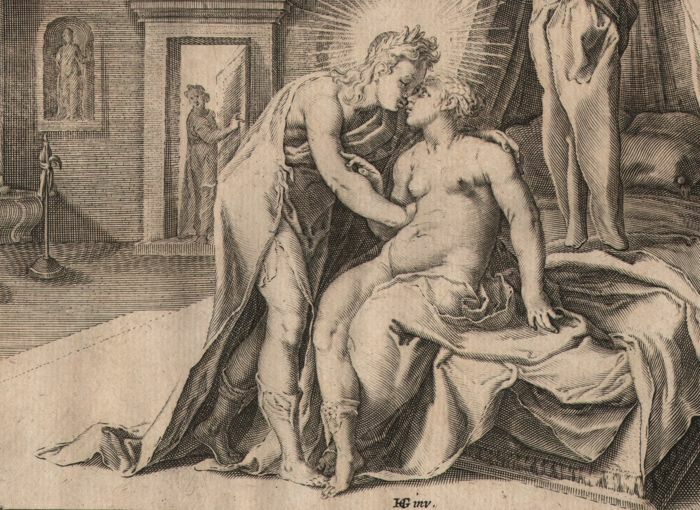 Goltzius made the drawings as designs for the prints. He probably also surveyed the engraving process by a member of his workshop and was involved in the publishing of the series. 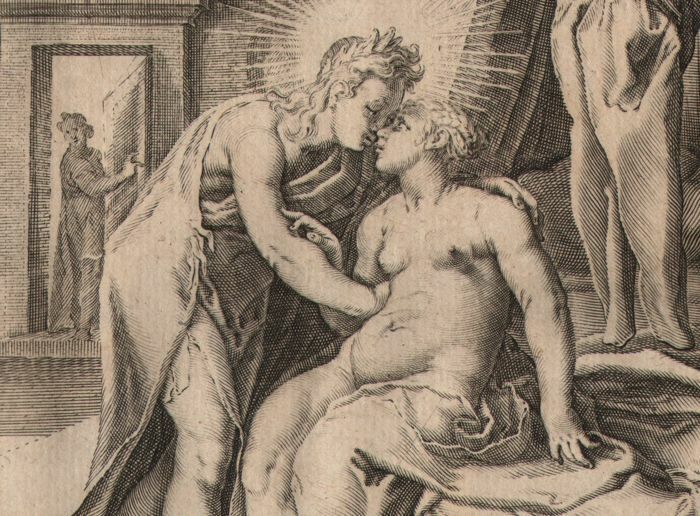 The mannerist style is at it's best here.